Age spots, also known as sunspots or liver spots, have nothing to do with the liver, but are typically associated with old age. Truth be told, age spots have very little to do with old age either or how old you are. Although they can affect young people, usually they appear in adults older than forty years old. They usually are flat gray, brown or even black spots of varying size. There is a reason why they’re called age spots, since they can make you look twice your age. They are most noticeable when they appear on the neck, hands, and face, which are the areas most exposed to the sun. Although they are harmless, it may be a sign of more serious health conditions, such as skin cancer. You should get these spots checked if you notice any that are rapidly increasing in size, have an irregular border, itch, are tender or bleed easily. The main cause of these unsightly brown spots appears to be over exposure to ultraviolet (UV) light. UV exposure accelerates the production of melanin, which is the pigment in the upper layer of your skin. Wherever the melanin gets clumped or produced in higher concentrations, there appear the age spots. Studies have shown UV rays cause damage to cells and release free radicals. These free radicals are the main culprit that cause aging to skin cells. That golden tan you so desired can be just a sign your skin is damaged. It doesn’t matter if UVA or UVB over exposure came from a tanning bed or directly from the sun, the risk is the same. The brownish pigment, (also called lipofuscin, solar lentigines, liver spots, or aging pigment), results from the breakdown of damaged melanin cells, which gives your skin the tan look. Fair and light-colored skin complexions are more prone to these age spots. Age spots have you looking older than your age. There are a variety of treatments available to get rid of these spots, however, you should do your homework to see if they are worth it. Medications in the form of bleaching creams (hydroquinone, retinoids) and steroids may gradually help fade the spots. This may take months to show results, and is not without side effects. These ingredients can be highly irritating and can result in itching, redness, and burning or severe dryness. Safe and natural broad-spectrum sun SPF 30 protection with zinc oxide and titanium dioxide is a must with sun exposure and to help prevent age spots. Laser therapy is used to destroy the cells that produce melanin. After several sessions over months, you may notice gradual fading of the spots. The negative side of laser therapy is the result of discoloration of your skin. Applying liquid nitrogen, which is a freezing agent, to the age spots is another method to destroy the extra pigment. 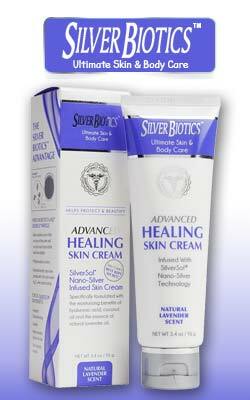 This may result in permanent scarring or discoloration. Dermabrasion helps sand the surface layer of your skin. A rapidly rotating brush is used to remove the skin surface, allowing new layer of skin to grow and take its place. Irritation and discoloration are usually expected, which may be temporary or be long lasting. Chemical peel uses an acid to burn the outer layer of your skin to remove the age spots. Several treatments may be necessary before your see any results. Again, irritation and discoloration may result temporarily or be long lasting. Over-the-counter fade creams and lotions are also available for lightening age spots. These can be expensive and you may have to continue to use them long term. Since the ingredients are frequently retinoids, hydroquinone or deoxyarbutin, these too may cause skin irritation. Even natural remedies may cause allergic reactions or have side effects. Always test any remedy on a small area of your skin before applying it to a larger area. Emu oil has been shown to help with aging skin. Make sure any emu oil you use has the American Emu Oil Association seal of purity on it. Otherwise, the oil may be contaminated. Skin supplements containing antioxidants may help reverse age spots. Fresh lemon juice applied to the spots twice daily, has been said to help lighten the age spots. Organic buttermilk contains lactic acid. Applied daily, it may help restore skin health. Try laying potato slices on the spots to help lightening them. Apply vitamin E to the spots. Rub on a mixture of apple cider vinegar and onion. Next Article Do You REALLY UNDERSTAND Detox?